First we had the federal government funding crowdsourced placemaking solutions, and now they’re crowdsourcing transportation solutions! Who would have thought the federal government would be out-innovating the private sector. 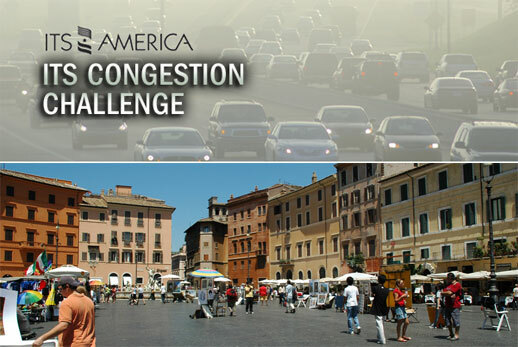 “The ITS Congestion Challenge is a global competition to identify the best and most creative ideas to effectively reduce congestion and its impacts on the economy, environment, and quality of life. The competition is open to entrepreneurs, commuters, transportation experts, researchers, universities, and citizens from all fields around the globe. All ideas will be reviewed, discussed and rated by an open global community (during the month of August 2009), to determine the best and most creative ideas to effectively solve the consequences of traffic congestion. OK private sector, time to step up and get in the game, the government is showing you up.